Now that Spider-Man has been aged down and recruited by The Avengers, Andrew Garfield’s schedule has opened up, allowing him to flex his dramatic actor muscles, last seen in 2010’s The Social Network and Never Let Me Go. His first post-superhero role arrives in 99 Homes, a gritty, timely drama from director Ramin Bahrani about the greedy real-estate market. The film finds a desperate Garfield sparring with, and then reluctantly becoming an employee of, Michael Shannon’s stone-hearted estate broker in order to save his family. 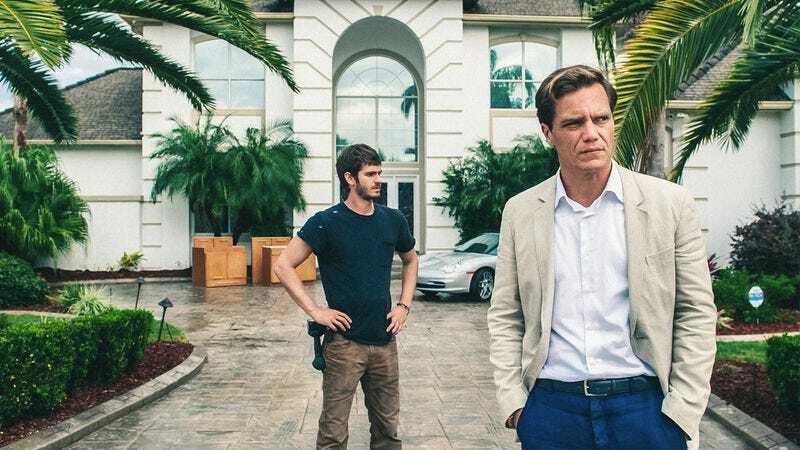 99 Homes opens in Chicago on October 2, but The A.V. Club and Broad Green Pictures have an opportunity for you to see it for free on September 28. For your chance to win a pair of passes to the advance screening, simply follow the link here and enter your information. As always, seats will be first come, first served, so be sure to arrive early. An official plot synopsis and trailer can be found below. In this timely thriller, when single father Dennis Nash (Golden Globe nominee Andrew Garfield) is evicted from his home, his only chance to win it back is to go to work for Rick Carver (Academy Award nominee Michael Shannon), the charismatic and ruthless businessman who evicted him in the first place. It’s a deal-with-the-devil that provides security for his family; but as Nash falls deeper into Carver’s web, he finds his situation grows more brutal and dangerous than he ever imagined.